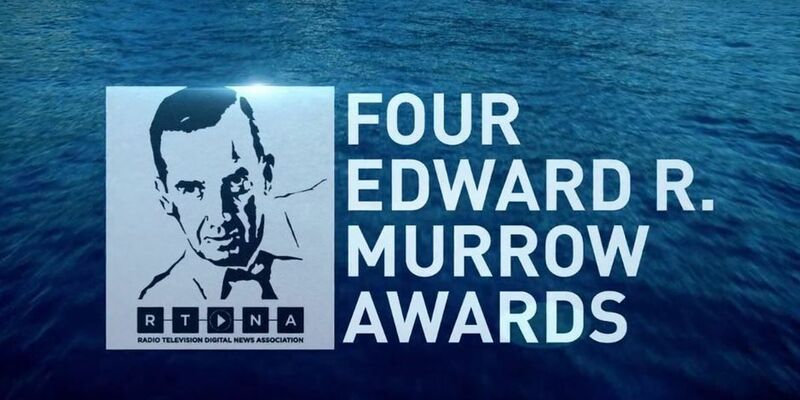 Hawaii News Now has been awarded four prestigious Edward R. Murrow awards for excellence in journalism. It's the seventh consecutive year HNN has won in multiple Murrow categories. The Radio Television Digital News Association presents the Murrow Awards annually to recognize the best electronic journalism produced by radio, television, and online news organizations around the world. The regional Edward R. Murrow commendations automatically qualify the station for consideration in the organization's national awards. Continuing Coverage for "Hokulea Homecoming"
Feature Reporting for "Zephy's Legacy: Brain-damaged baby lives long enough to become an organ donor"
News Documentary for "Prescribing Hope"
Hawaii News Now also won five awards in this year's Associated Press Television and Radio broadcast contest. Best Daytime Newscast for "Sunrise Mahalo Tour"
Best Documentary for "Prescribing Hope"
Best Evening Newscast for "Moanalua Plane Crash"
Best Investigative Reporting for "Hidden Betrayal"
News Director Scott Humber said the awards are a "special honor for all of us at Hawaii News Now." "I'm proud of the work that all of our team members do daily," he said. "And in a time when it has become easy to slam journalists for being too sensationalistic or delivering fake news, to win nine awards from these two prestigious news organizations is extremely humbling."